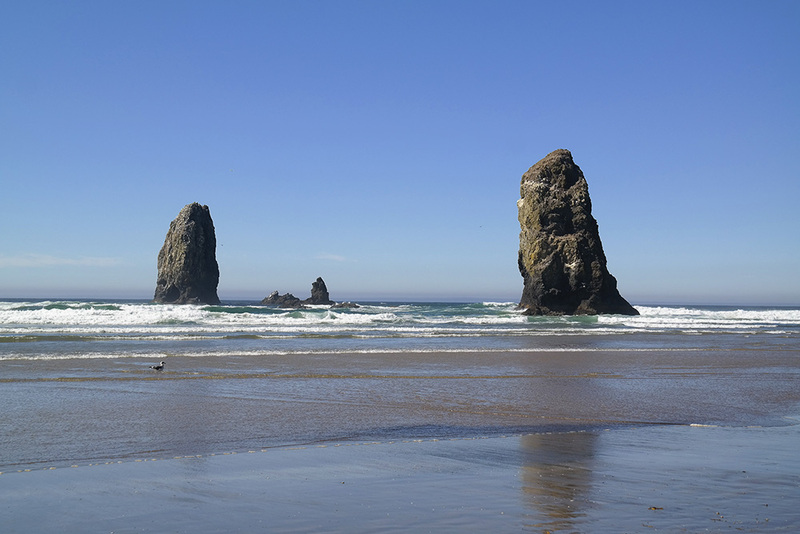 On a recent trip to Oregon, I had planned for us to visit Cannon Beach to see Haystack Rock. 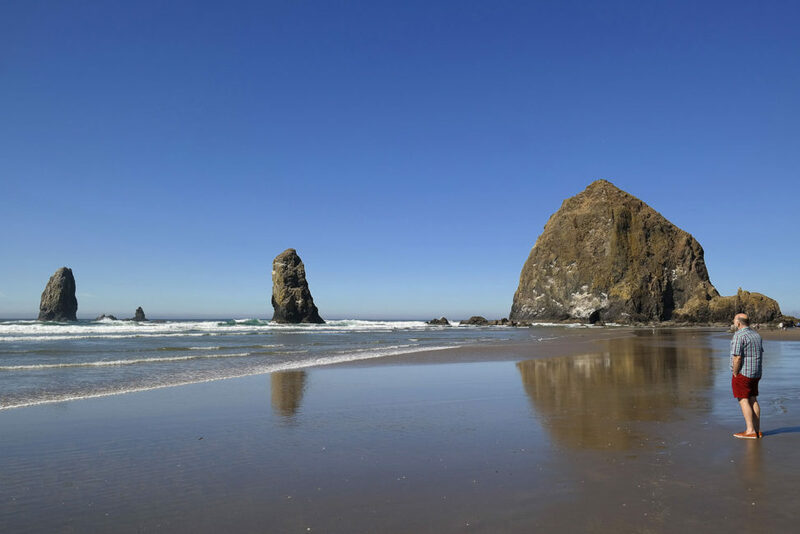 As one of Oregon’s most recognizable landmarks, it gained its fame for my generation in the opening scene of The Goonies, when the Fratellis are fleeing from the police. But that’s not the reason why I wanted to see it. 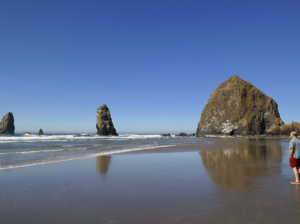 I had heard that in low tide, you can walk right up to the 235-foot monolith to view clusters of bright purple and orange starfish. Being the naturalist that I am, this sounded very appealing. 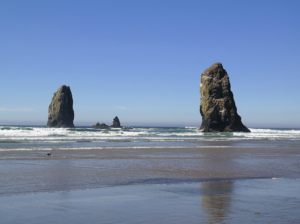 We were discussing our itinerary with a friend, who recounted her recent visit to Cannon Beach. 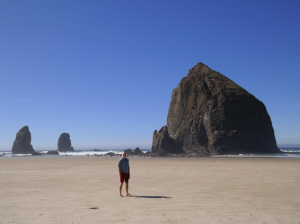 She had to wake up at 5 AM to catch the low tide, which is the only time you can access the tide pools around the rock to see the starfish. “5 AM?! I don’t think so,” I groused. 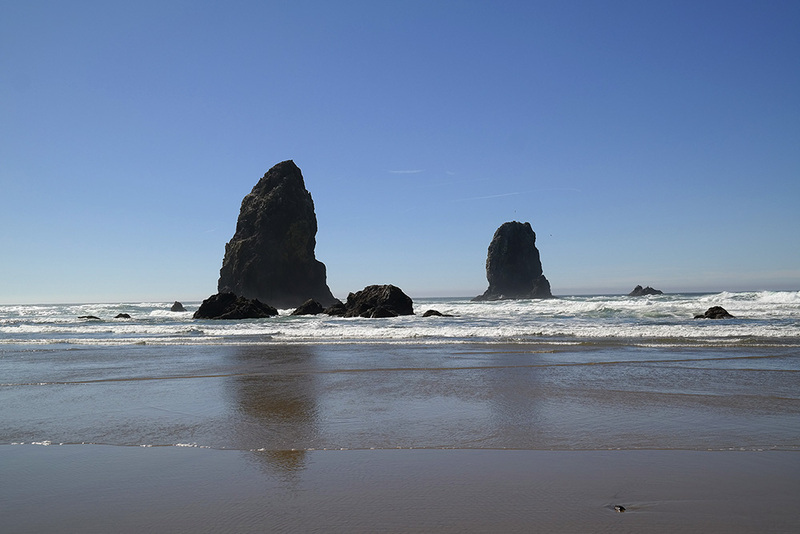 Fortunately, upon checking the timetable on the day of our visit, the second low tide was scheduled for 1 PM – the same time we’d be driving through Cannon Beach. Excellent! 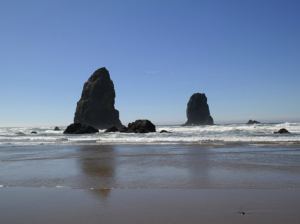 And not only was the tide working in our favor, the weather was also sublime. The temperatures were in the upper 60s with Indian summer blue skies overhead. 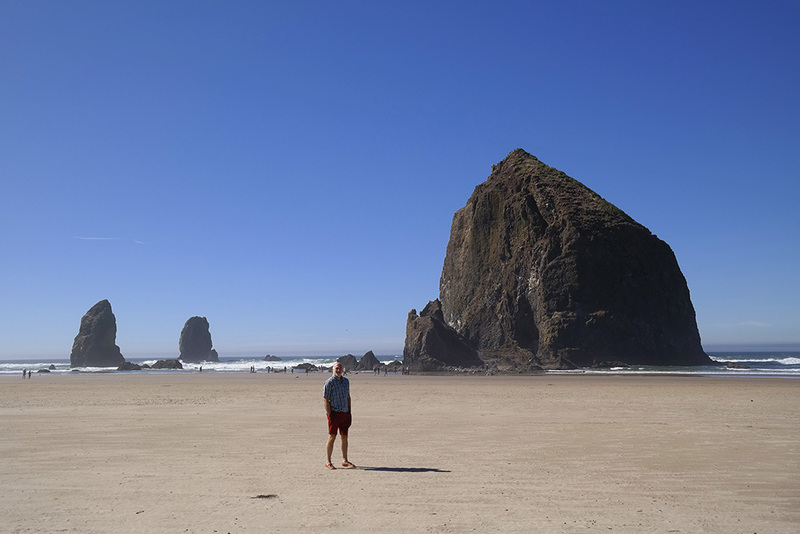 Sure enough, when we reached the Haystack Rock overlook from the 101, the tide was out to sea. We parked our car and scurried down to the beach. 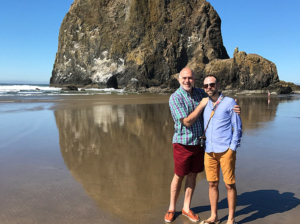 As we walked toward the cluster of sea stacks, the position of the early afternoon sun made for some spectacular photo opportunities. 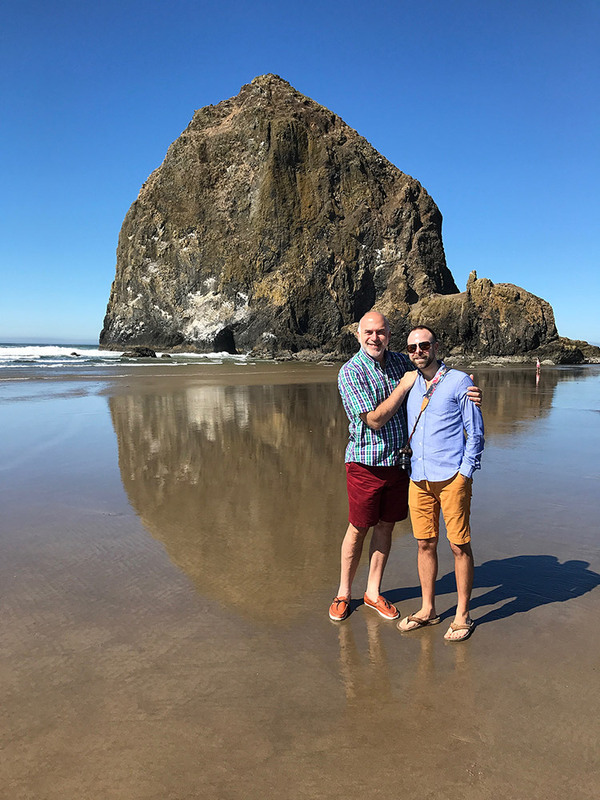 Upon approaching the tide pools, I kept my eyes peeled for the colorful starfish, but to my chagrin, there were none in sight. My disappointment, however, was quickly overtaken by a feeling of wonderment. 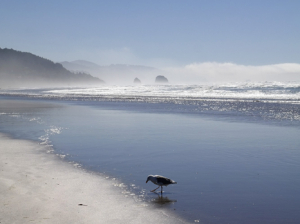 The stunning tableau of the Oregon Coast on this flawless late-September day was breathtaking. So I didn’t get to see starfish…oh well. Maybe next time. 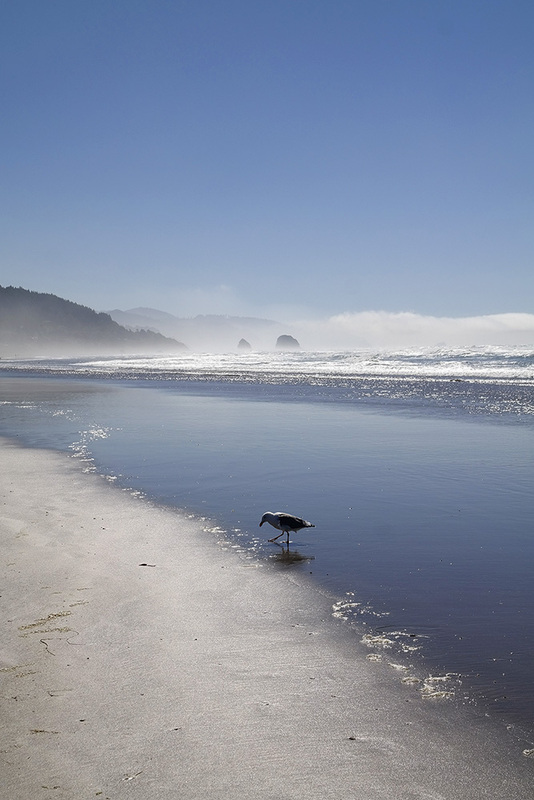 Meanwhile, we had this slice of Pacific perfection to soak up and enjoy.